Last month, Emilia Clarke revealed that she’d experienced several life-threatening brain aneurysms that started after the first season of Game of Thrones wrapped. In an essay for the New Yorker, Emilia explained that she’d been rushed into urgent surgery in 2011 after being diagnosed with a subarachnoid haemorrhage — a stroke that one-third of patients can die from. Emilia went on to write that when she returned to work six weeks later, she thought she was about to die “every minute of every day”. 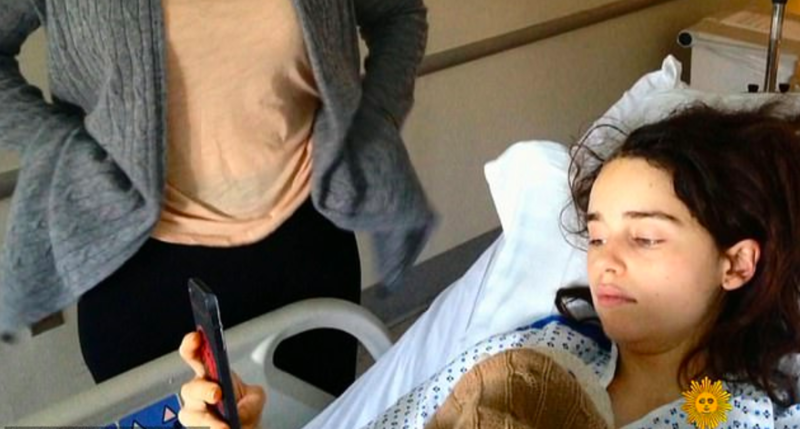 Well, during an appearance on CBS This Morning on Sunday, Emilia opened up further about her experiences and shared never-before-seen photos from her hospitalisation. The images were taken during Emilia’s recovery from her first brain aneurysm in 2011. And during the interview, Emilia spoke in more detail about the aneurysm, which happened while she was at the gym. Emilia went on to reveal that she endured a second aneurysm two years later, and this one was life-threatening. Emilia also spoke about the toll the aneurysms took on her mental well-being, but added that returning to work ultimately “saved” her from thinking about her own mortality. You can watch the full interview with Emilia Clarke here. Only 25% Of Millennials Are Passing This Quiz — Will You?